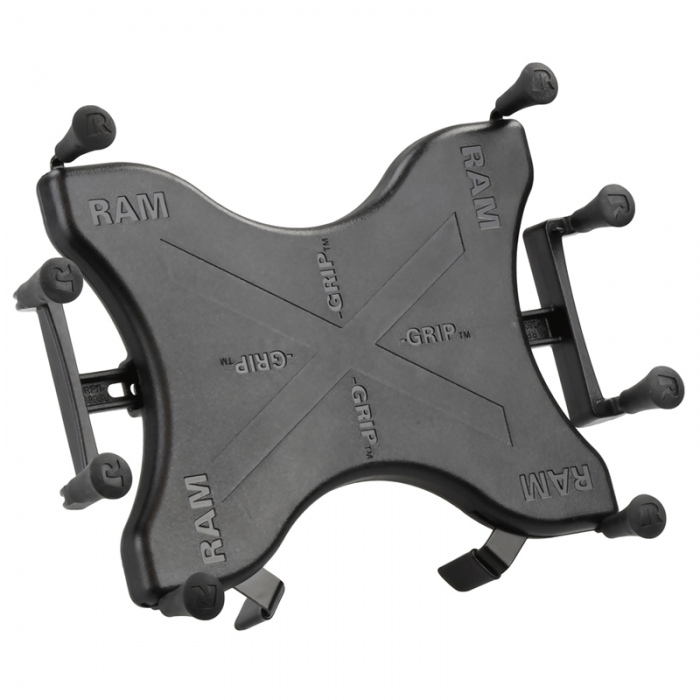 The RAM-HOL-UN9U consists of a composite spring loaded cradle, expandable grip arms and additional bottom support keeper. 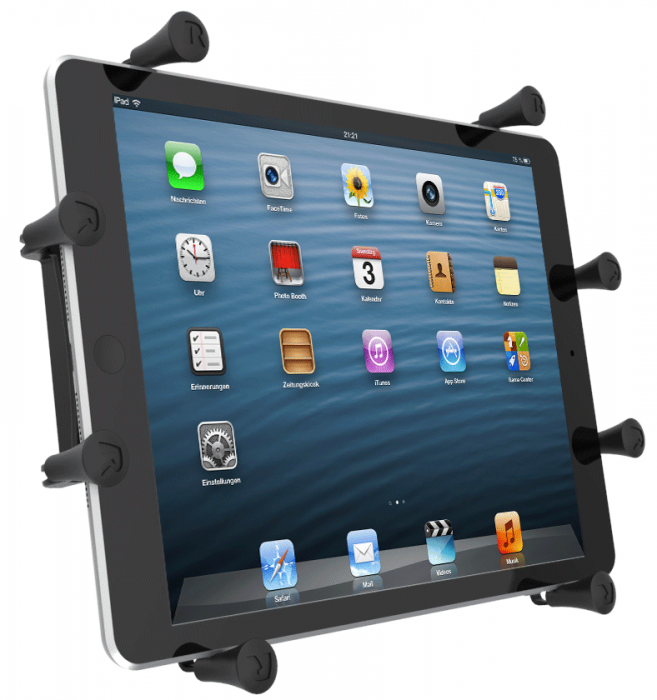 Included are extra easy access grip knobs, located on the back of the cradle for quick release of your tablet. 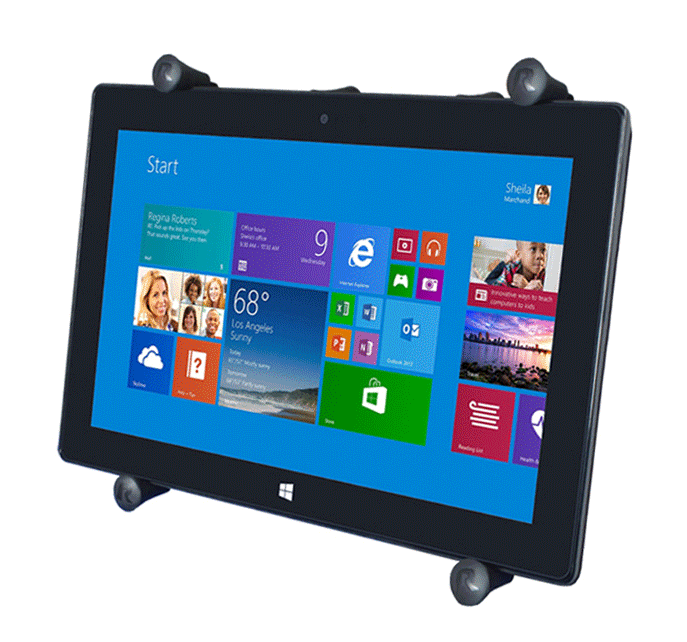 The RAM-HOL-UN9U expands and contracts for perfect fit of most 10" tablets with or without sleeves, as well as some smaller tablets. 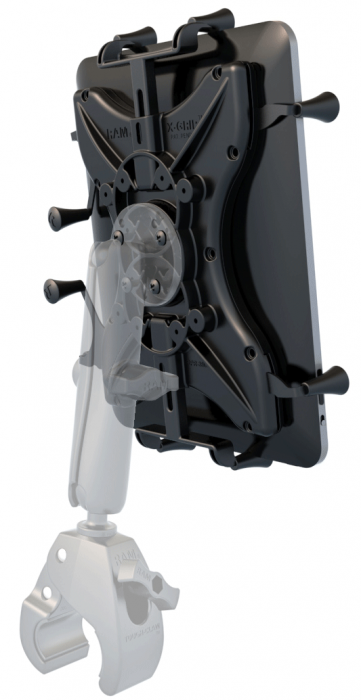 Please verify dimensions of your tablet below for compatibility with the X-Grip. 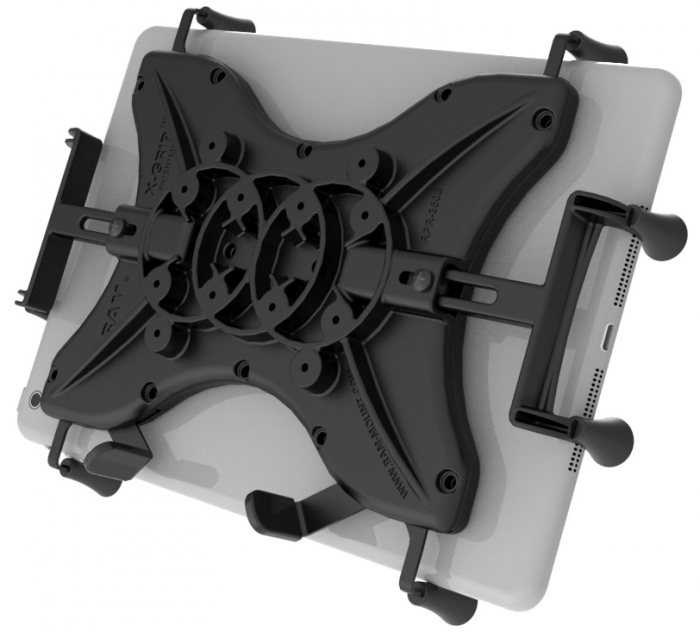 The X-Grip cradle is compatible with tablets devices that will fit the dimensions listed below. It is important to verify the dimensions of your tablet with a case/sleeve/skin when determining the overall size. Maximum Length (using additional supports): 10.25"